Joana Ramiro spoke to the LBC presenter following his Leveson Lecture on the challenges facing journalism today. 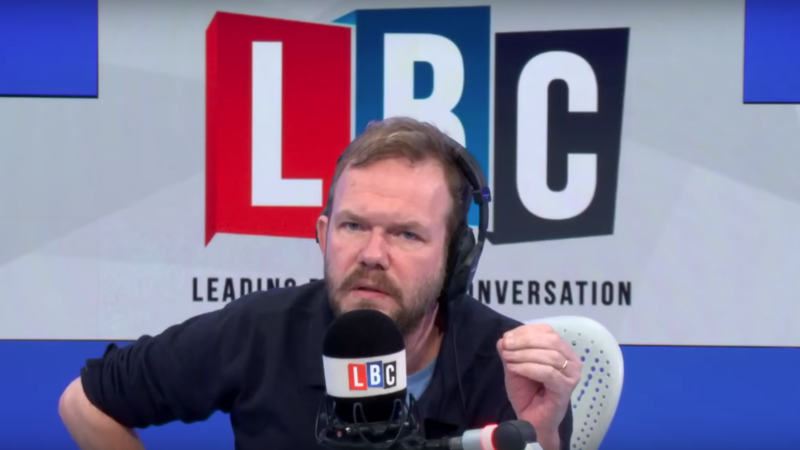 If you’re an LBC radio listener you will surely be familiar with the work (and voice) of James O’Brien. O’Brien has undoubtedly become one of the most notorious opponents of Brexit, demolishing the arguments of Brexiteer politicians and callers on his show alike. In person, he is as combative as on his show. An extraordinary orator, deftly weaving personal anecdotes with solidly proven facts, he can talk about fake news and Brexit as if he were telling you the plot of a riveting film. And that is how he delivered this year’s Leveson Lecture on Monday. For over an hour a packed auditorium at a central London University of Westminster campus hears O’Brien describe the slow decaying of upstanding journalism. How The Sun started covering news in a way that would trigger an emotional response from its readers, how editors like Kelvin MacKenzie and Paul Dacre consistently passed bigotry as news, how the entire sector followed in an age of click-based success. As a result he has become a “reluctant fan” of press regulation, and why he was ultimately invited to deliver the lecture, which is organised by the Hacked Off campaign. How do we push those comforting lies aside, however? Is it possible to have a discussion on any topic about modern Britain today that doesn’t lead to immediate division and quarrel? A quota? I asked. Would he give five minutes to the climate change scientist and one to the climate change denier? “Not even a quota, just measure,” he answered halfway through signing copies of his latest book How to be right in a world gone wrong. But while this is all well for O’Brien, who enjoys an unparalleled degree of freedom in the way he conducts his interviews, the procedure is harder for other journalists, who have to obey the myth of objectivity. Like BBC presenters, for instance. Confronted with the problem of the BBC as the golden standard of impartiality – while still offering space for questionable statistics to be spewed by its guests, O’Brien sounds suddenly very jaded. “Oh I don’t know,” he said and sighed, slightly rolling his eyes. I end up finding myself nodding along to his position, and we both comment on how exasperating it is to see our industry turned into a click-based article churning factory. And while he argues that he is “not about passionate revolutions, I’m about small changes”, O’Brien might be, with his far-reaching audience and obsession for empirical evidence creating just enough of a revolt to salvage British journalism from its 21st century predicament.